Today was my first lecture. It was about North Korea. South Korea is separated from the rest of the continent by the North. Essentially it is an attached island. You can really see this separation at night. The explanation about why and how the split happened and what that meant in terms of economics, freedoms, prison camps and how the average person lives was fascinating. What shocked me was how little the South Korean students knew about what was happening just north of them. The lectured shocked many of them and they had lots of questions. 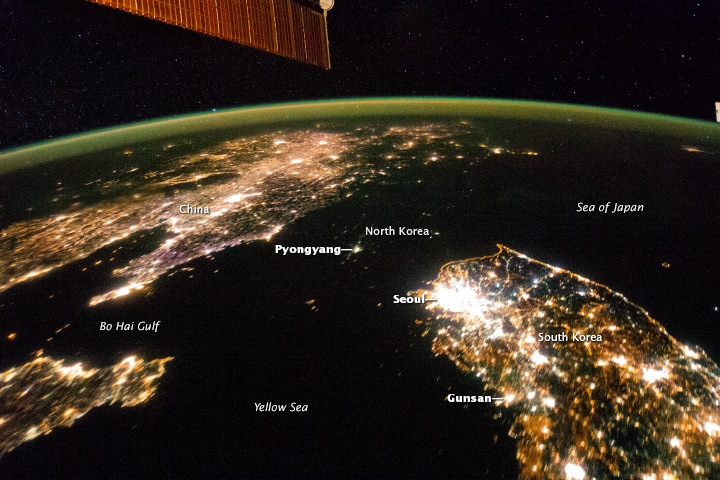 The Lecturer, Dr. Yoon Yeosang, Director of North Korean Human Rights Archive, repeatedly said that South Koreans just don’t care about what is going on north of them. He mentioned the book Escape from Camp 14, about a person who escaped from a political prisoner camp, which became a best seller internationally and made in to a film, yet only sold 10 000 copies in South Korea. Why don’t people care/know? Maybe too may threats and incidents? I’m not sure. I decided to investigate further so at dinner I asked about what South Korean students learned about North Korea in school. It turns out not much! They know lots about the 5000 year history about the Korean Peninsula but nothing about the human rights violations that occur there. I expressed surprise about this and asked if they learned anything about it in high school. Collectively they said very few teachers talk about it. The situation in the North is mentioned, but only briefly. Only a few teachers talk more about it. Most were unaware what was happening. How much of a responsibility do educators have to tell about what is happening in the world? Should students not be made aware of what is happening? It seems unbelievable that South Koreans do not know what is going on in a country that was until recently a part of a large country that they belonged to. I was told that if students, or people, here want information on North Korea they must listen to English language stations like BBC. Without being taught, the future educators will perpetuate the lack of knowledge. Teaching must be about more than the ‘content’. We are part of a global community. I believe that we have a responsibility as educators to connect what students are learning with the world around us. through exhausted areas of countries across the globe. people who are in need of funds with their non-profit aid agencies. China is just one of many nations this non-profit group comes to come across the important challenges that they struggle with today. with The Federation for Groups in the Yunnan province of China. The project first started within 2005 and goes on around currently.